April 25, 2012 (CHICAGO) — Driehaus Design Initiative celebrates the innovation and craftsmanship of emerging student fashion designers at their annual fashion show competition. The event includes a pre-party with hors d’oeuvres and cocktails, silent auction and runway show. The runway competition provides a select group of local fashion design students the opportunity to showcase their unique design perspectives at a full-scale runway show with professional models. They are judged by a panel of three industry experts. 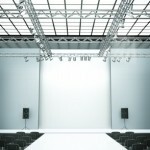 The selected top designers will receive cash awards. Additionally, the finalists will win a mentorship with Jon Cotay, owner of AKIRA, and the opportunity to attend a workshop on the business of retail and fashion. Driehaus Design Initiative will donate event proceeds to each of the participating local Chicago schools: Columbia College Chicago, Dominican University, The Illinois Institute of Art, The International Academy of Design & Technology and The School of Art Institute of Chicago. The annual event was first inspired by Chicago fashion icon Skip Grisham’s idea, and established by Richard Driehaus to promote design education and to foster public appreciation of all aspects of fashion design and history. Runway expert Tracey Tarantino shows what the judges look for in the art and design by showing us designs from previous winner… read the rest from ABC News.